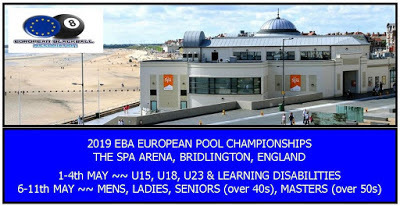 NIPA: 2018 Champions of Europe !!!! 2018 Champions of Europe !!!! Northern Ireland Ladies are the new 2018 EBA European Blackball Champions. 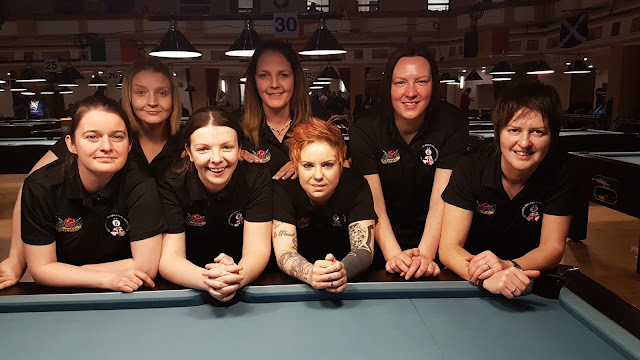 Manager Collette Henriksen led her team to a clean sweep winning all six group matches followed by a 13-9 Semi Final success over England after trailing 0-4 early in the match. 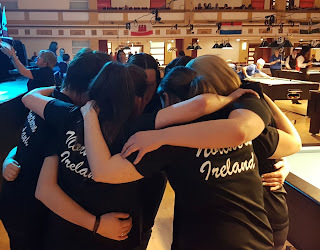 Come the Final it was nip and tuck the first half dozen racks or so but our Ladies upped the pace and sealed the Title with a 13-5 win over a strong Scotland side, Julie Henderson holding her nerve to pot the winning black and start the celebrations. Take a bow Collette Henriksen, Julie Henderson, Mary Cunningham, Michelle Roonay, Claire Stewart, Emma Cunningham and Tasha Magill. You were fantastic and considering the small pool of players to choose from in NI it makes the victory even more amazing. The 2018 Blackball International World Championships are in November, how good would it be to do the "Double" ? South Africa, France, the Home Nations and others will have plenty to say about that but this team is incredible and can beat anyone. Mens 'A' - Didn't qualify from a very tough group but showed plenty. Ladies 'B' - Definitely improving, lost four matches by 11-10.